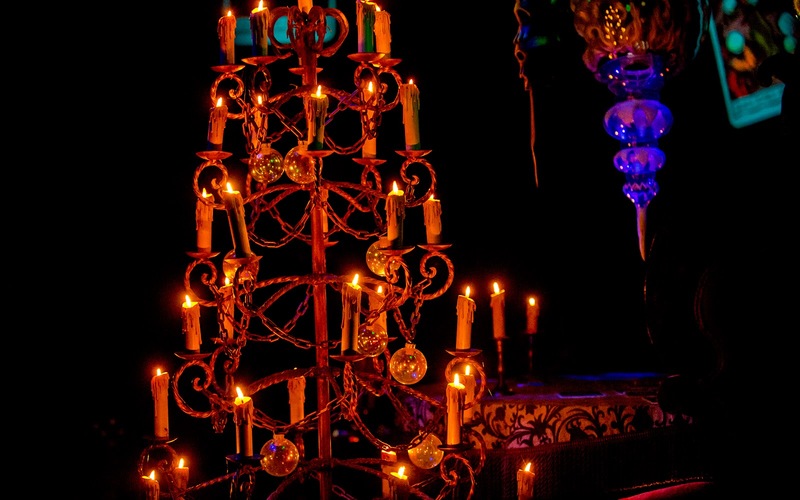 Here's another post of detail photos, this time from the Haunted Mansion Holiday. 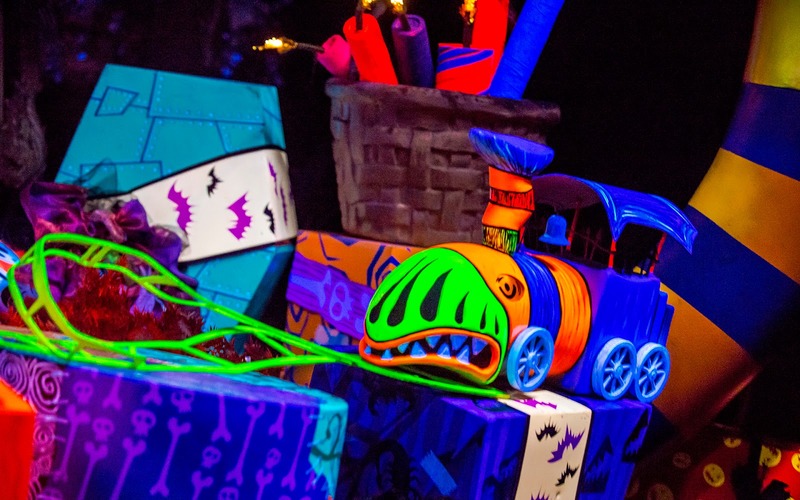 As with any classic Disney Dark ride, this attraction is rich with little ornaments and bits of theming that might not be noticed by the average viewer. Or they may not be noticed with detail. But through the power of a camera with a great piece of glass (in this case, my Nikkor 70-200mm f/2.8 telephoto zoom lens), these little details can be revealed! A large moving diorama flanks the load area. 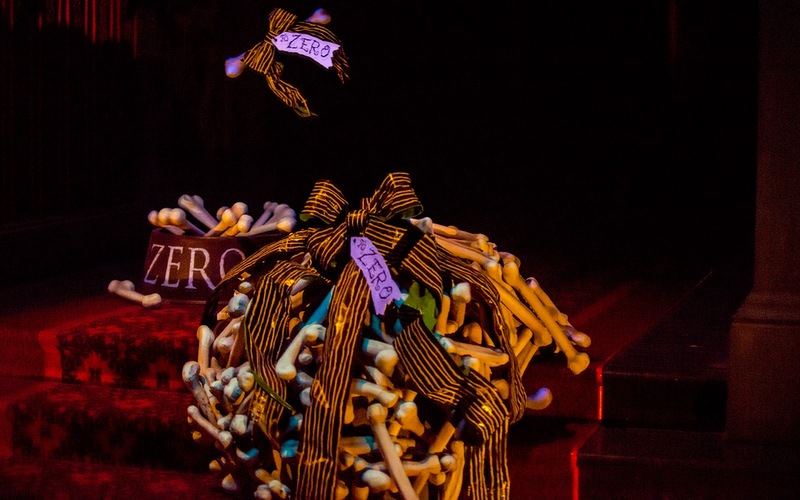 On this spooky Christmas, someone has left Zero some treats! 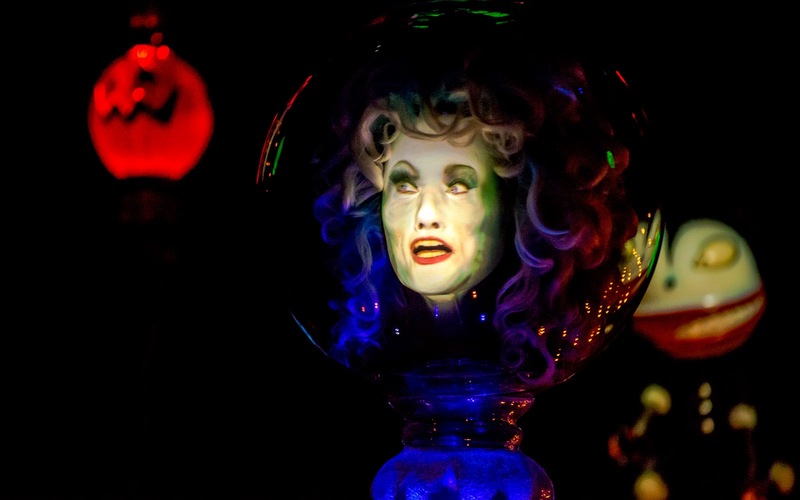 In Madame Leota's seance, festive candles for an illuminated "tree." 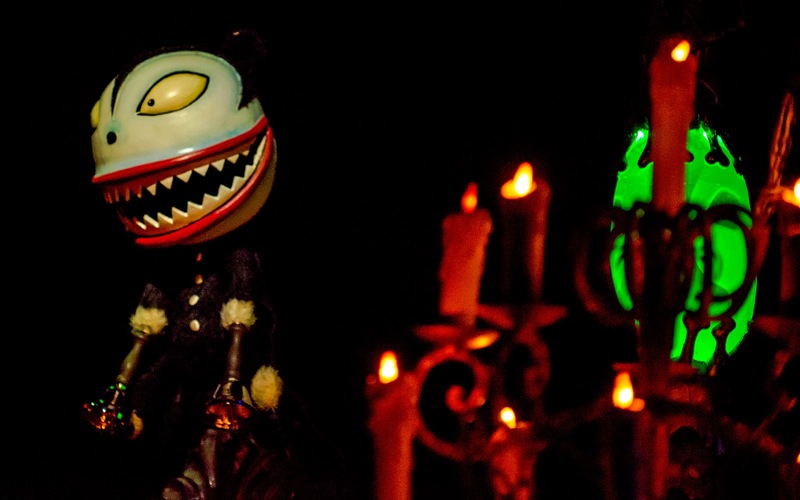 Vampire Teddy makes a recurring appearance throughout the attraction. 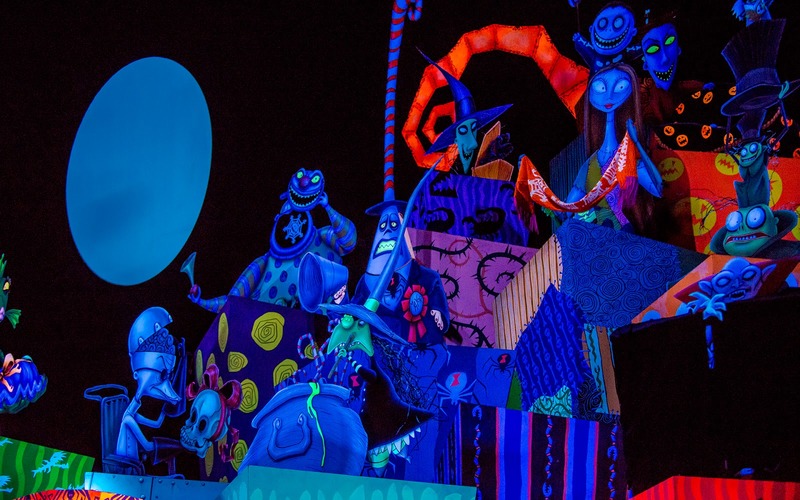 Madame Leota recites the presents of the 13 days of Christmas. 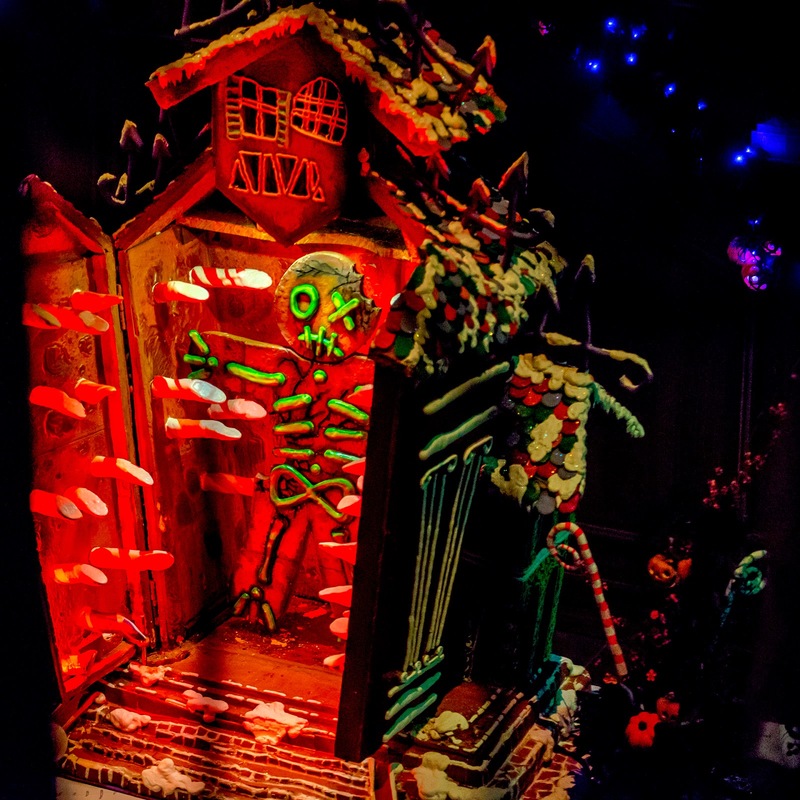 This year's gingerbread house is of the devouring kind! 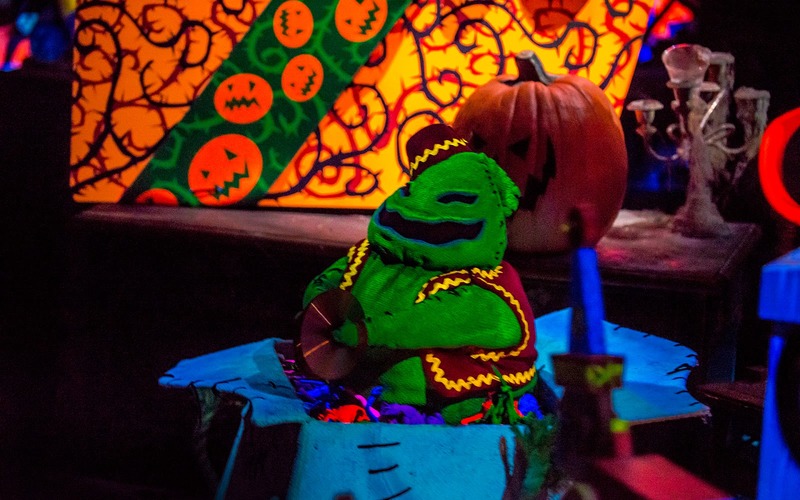 A little Oogie is among the presents conjured up by the residents of Halloween Town! The other toys aren't much safer.